For people who are missing teeth, dental implants usually provide the best replacement solution. An implant is a post that is surgically placed in the jawbone to take the place of a natural tooth root and serves as a foundation for a replacement tooth. Dr. Kooyman has extensive experience in implant dentistry, and stays up to date with continuing education courses. He customizes each step of the implant dentistry treatment plan to fit a patient’s individual needs for the most successful outcome. 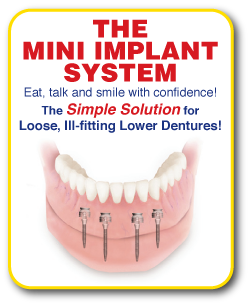 If you would like to learn more about dental implants, contact CR Smiles – Meridian Dental Care in Meridian to schedule a consultation today. Appearance and Function: Implants, with attached restorations, look and feel just like natural teeth. In addition, they will not slip out of place like dentures or other removable restorative dentistry options can, giving you the confidence to speak and eat with freedom. Dental Health: Since the jawbone fuses to the implant post, an implant helps prevent bone loss and gum recession by taking the place of a natural tooth root. Also, unlike bridges that require surrounding teeth for support, implant-supported restorations do not affect any other teeth. Versatility: Implants can be used to replace a single tooth or several teeth. They can also be used to support a full denture if all of the natural teeth are missing. In general, anyone who is missing one or more teeth and is in good oral and overall health makes a good candidate for dental implants. 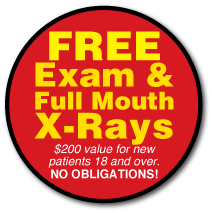 At our Meridian and Boise-area practice, we would be happy to evaluate your oral health and discuss your candidacy. Of primary consideration is having sufficient healthy jawbone in the area to receive the implant. However, we can often perform a bone graft procedure prior to implant placement to build up the jawbone if needed. At CR Smiles – Meridian Dental Care, we also offer sedation dentistry to help our patients relax through their implant dentistry treatments, making even patients with dental phobia good candidates for the procedure. The procedure to place dental implants is straightforward and can be completed in three visits to our practice after an initial consultation. Implant Post Placement (First Visit): During the first visit, the titanium implant post, which resembles a small screw, will be placed into the jawbone through an oral surgery procedure. The jawbone is allowed to heal for several months to ensure that is fully fused with the post before the abutment is attached. Abutment Attachment (Second Visit): During the second visit, an abutment will be attached to the post so that the restoration can be placed on it in the next visit. The area is allowed to heal for a few weeks before the restoration is attached. Restoration Attachment (Third Visit): During the third and final visit, the restoration – a single dental crown, dental bridge, or denture – will be attached to the exposed portion of the abutment. Dr. Kooyman takes great care to customize each implant dentistry treatment plan to fit the needs of the individual patient. Some people will require a bone graft, while others may require additional treatments for optimal results. For these reasons, it is impossible to give an accurate estimate for the cost of dental implants without visiting our practice for a thorough evaluation. If you are missing one or more teeth and would like to learn more about dental implants, contact our Meridian practice to schedule a consultation. Dr. Kooyman has helped many people from throughout the area, including West Boise and Eagle, smile with confidence by replacing their missing teeth with natural-looking dental implants.